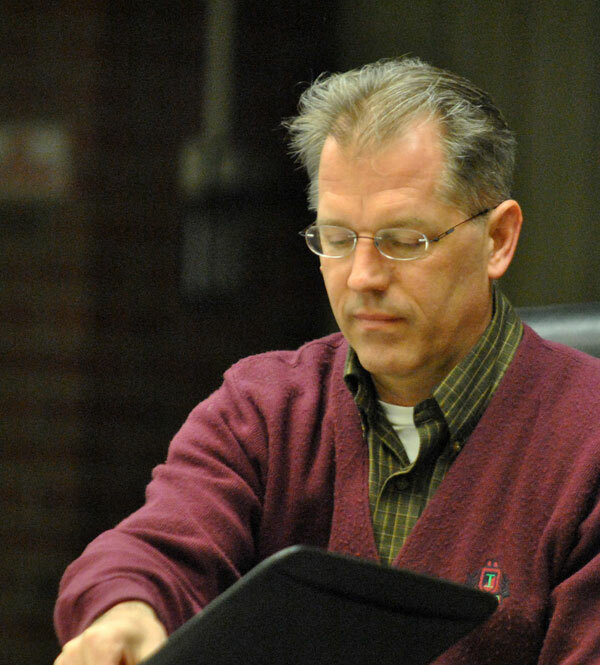 City administrator Steve Powers is required by the city charter to submit his proposed budget to the council by the second meeting in April, with any council amendments required by the second meeting in May. The city’s fiscal year begins July 1. 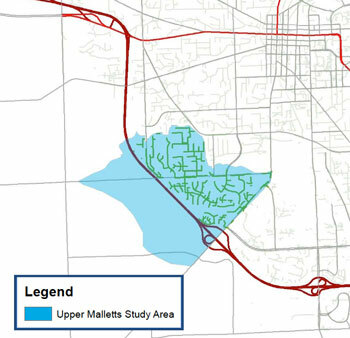 Cresson Slotten led off the capital improvements discussion with a description of three current wet-weather study projects, which involve sanitary sewers and stormwater sewers. The drinking water system is not part of the mix for this set of projects – but is included in the CIP for the next two years for a total of about $15 million per year. 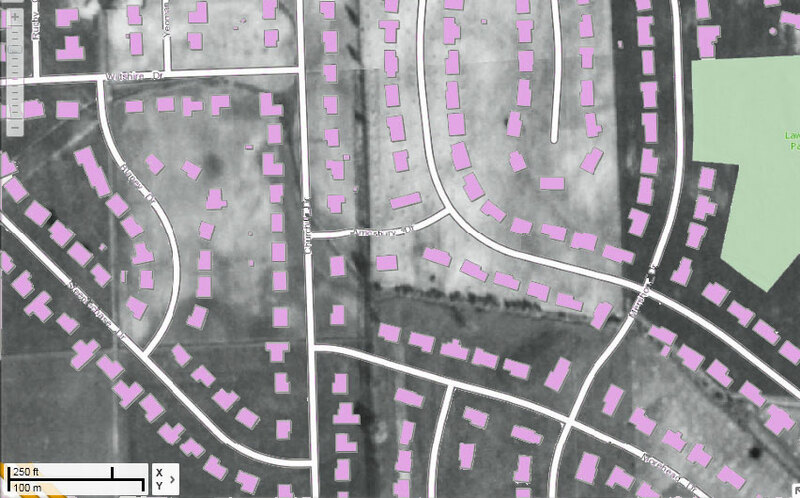 However, during construction of new developments before 1980, footing drains – permeable pipes buried around the perimeter of a foundation, roughly at the depth of a basement floor – were frequently connected directly to the sanitary sewer pipes. Those connections were convenient to make, because the footing drains and the sanitary sewers are buried at roughly the same depth. However, during very heavy rains, that configuration leads to a volume of stormwater flow into the sanitary sewer system that it’s not designed to handle. That can cause two problems. First, near the point where the extra water is entering the sanitary system, it can cause raw sewage to back up through the floor drains of basements. Second, farther downstream at the wastewater treatment plant, the amount of water flowing into the plant can exceed the plant’s capacity. That can result in only partially-treated wastewater being discharged into the Huron River. It was wastewater discharges into the river that led the city to agree to an administrative consent order with the Michigan Dept. of Environmental Quality (MDEQ) to establish a way to offset the impact of new connections to the sanitary system required by new developments. 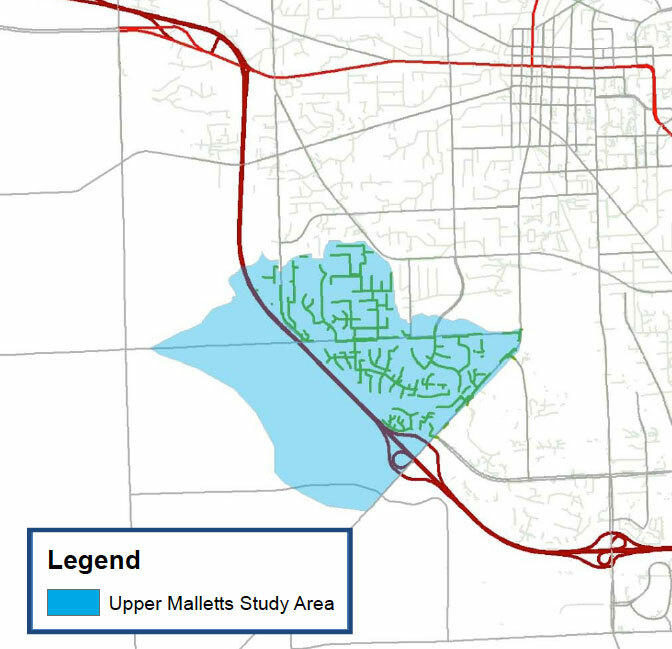 That program essentially requires developers who are building projects that place additional burdens on the sanitary sewer system to pay for a number of footing drain disconnections elsewhere in the city, according to a formula. The council’s Aug. 18, 2003 resolution authorized the consent order with the MDEQ. The footing drain disconnect program was targeted initially in five neighborhoods that accounted for about half of all reported basement sewage backups. Since implementation, 2,538 footing drains have been disconnected, including nearly all of the houses in three of the five areas. 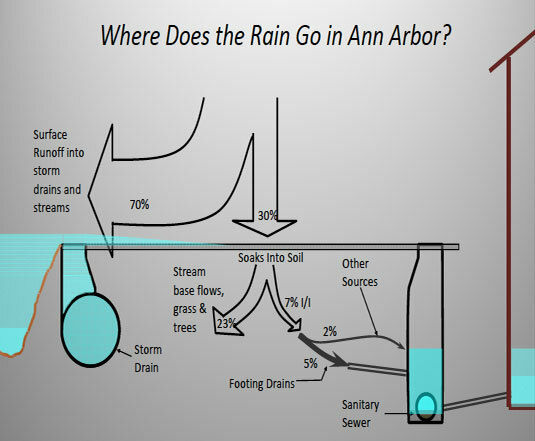 In the two other areas, between 55% and 60% of footing drains have been disconnected. The city council decided on Sept. 17, 2012 to suspend temporarily the footing drain disconnection program. And at its Feb. 4, 2013 meeting, the city council authorized a roughly $1 million study of Ann Arbor’s sanitary sewer flows – meant to assess the impact of the decade-long footing drain disconnection program. The point of the study is to see how well the FDD program has worked: Has it had more impact or less impact than expected? Have residents’ preferences changed with respect to how they’d like to see the issue addressed? The decision to suspend the FDD program came in the context of resident complaints. 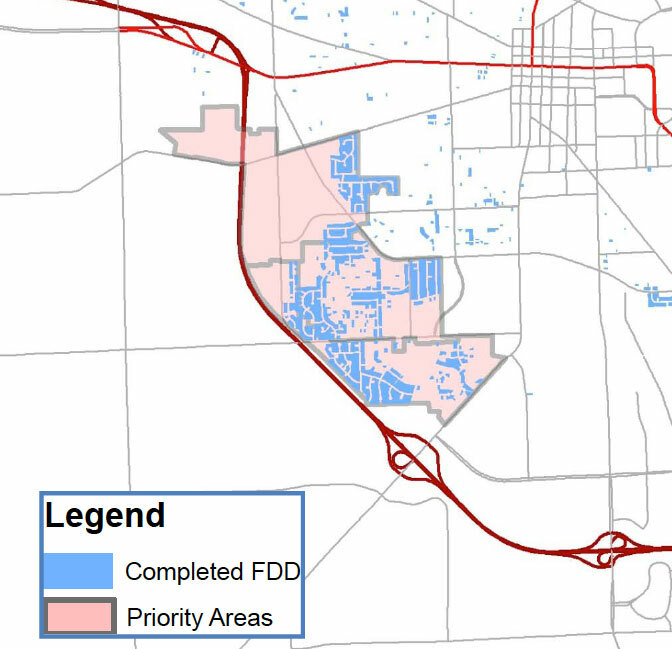 In one of the remaining areas for the FDD program – the Glen Leven neighborhood – overland flooding during heavy rains in the spring of 2012 resulted in basement flooding in some houses that had been included in the FDD program. The FDD procedure includes the installation of a sump to collect water from the footing drains – which previously fed into the sanitary system – and a pump to move the water from the sump to the stormwater system. And in some cases, the pumps were reportedly not able to keep up with the influx into the footing drains. And on Oct. 15, 2012, the council approved a $200,000 study of the area by the water resources commissioner’s office. Slotten also described a more general stormwater study project covering the whole city. It’s based on a 2007 completed GIS (geographic information system) inventory of public stormwater systems citywide. That study established a base model for the stormwater system. The current project aims to gather more detailed data to allow for a more fine-grained calibration of the base model. With the finely calibrated model, it will be possible to target needs in the system, Slotten said. Slotten described how a number of stakeholder organizations have been included, as well as interested citizens in several specific neighborhoods that have experienced flooding in the past. The city is interested in getting reports from residents during heavy rains about where overland flooding and pooling is taking place. The city maintains a separate webpage for the stormwater system calibration project, which lists upcoming meetings, including some in early March. 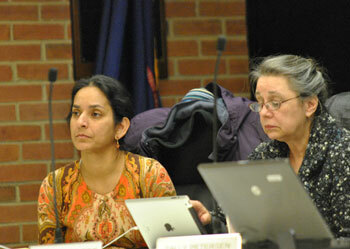 During the Feb. 11 work session, councilmembers asked questions about a range of projects listed in the CIP. This report highlights some of their concerns, as well as staff responses to the issues that were raised. Stephen Kunselman (Ward 3) noted that the original FDD program began as capacity issue, and there’d been some involvement by the state of Michigan. Kunselman wanted to know: “Was there a consent order?” Kunselman’s question was handled by Craig Hupy, public services area administrator. Hupy allowed that there’d been a capacity issue in the collection system. The state of Michigan had entered a consent order at the water treatment plant, after a city task force was well down the road of arriving at a solution. Kunselman ventured that in reality, the capacity issues have been satisfied, but the FDD program continues – so Kunselman concluded that the point of the FDD was now not to satisfy the consent order. In that case, why did the program continue? Kunselman wondered. Hupy told Kunselman that the FDD continues because the city continues to have problems in the collection system. Kunselman indicated that he thought there’d been unintended consequences, too. Hupy said that the point of the sanitary sewer flow study is to determine if there is a connection between the consequences Kunselman was alluding to. Hupy told Kunselman that what’s in the CIP for FY 2014 is for disconnection of footing drains for several multi-family units, most of which are “upstream” of the Dartmoor priority area for footing drain disconnections [in the southwest part of the city]. The Dartmoor neighborhood wouldn’t be protected until those multi-family units are disconnected, Hupy said. Because the city did not yet know the results of the wet weather sanitary flow study for the sanitary sewer system, Hupy said, no programming of funds been made beyond 2014. No assumption was being made that the result of the study would cause the FDD to go forward, Hupy said. 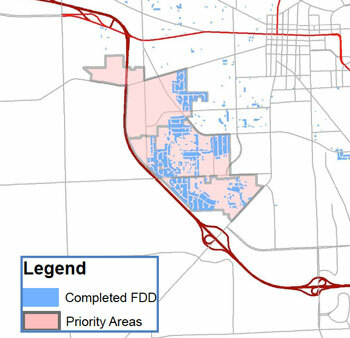 Kunselman confirmed with Hupy that prior to the decision to embark on the sanitary flow study, the city had had an expectation that there would be additional funding needed for the FDD program. Hupy said that expectation had been based on a need to complete footing drain disconnections in the Glen Leven and Morehead priority areas. The city council chambers appear in the CIP in a line item that comprises two capital projects. Sabra Briere (Ward 1) asked about the $500,000 project to renovate the city council chambers. Her question was fielded by Matt Kulhanek, unit manager for fleet and facilities. He told Briere that the item has been included in previous CIPs. He described the project as part of the asbestos abatement project for the city hall building. About $200,000 is for completion of asbestos abatement on the second floor of city hall, Kulhanek explained, where council chambers are located. Asbestos in the clerk’s office portion of the second floor had been completed during the Justice Center construction. The remaining $300,000 is for the renovation of the city council chambers. If that’s something the council has an interest in, it would be pursued, Kulhanek said – and if not, then not. [A couple of councilmembers seemed to indicate a lack of support as they shook their heads no.] But the city would in any case pursue asbestos abatement, Kulhanek said. Kunselman got clarification from Kulhanek that asbestos abatement for city council chambers would include floor tile, as well as fireproofing above the ceiling. Included in the CIP are a number of projects for the Ann Arbor airport, including an extension of the main runway. 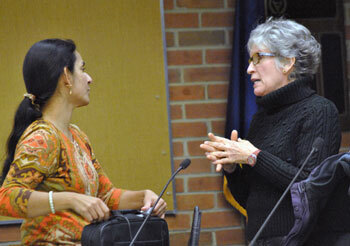 At left, Sumi Kailasapathy (Ward 1) chats with Kathe Wunderlich before the Feb. 11, 2013 city council work session. 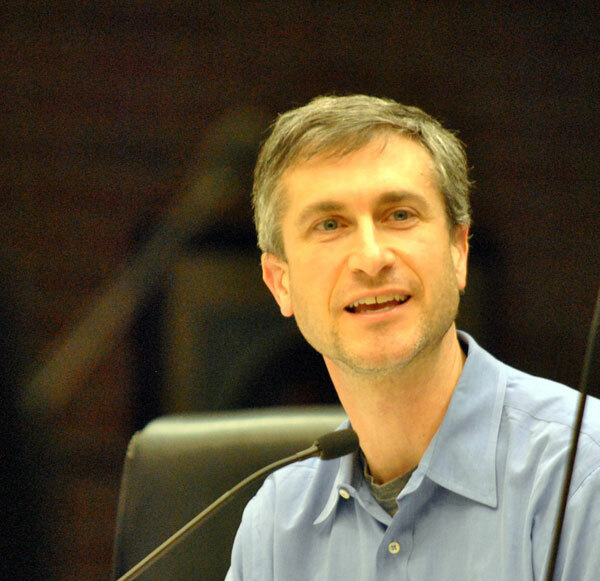 Wunderlich is with the Committee for Preserving Community Quality, which opposes the proposed extension of a runway at Ann Arbor’s municipal airport. 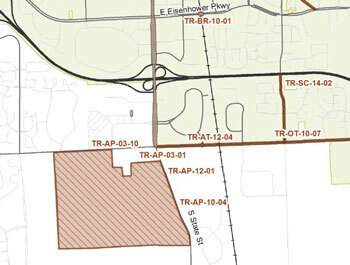 Sabra Briere (Ward 1) noted that last summer [on Aug. 20, 2012] the council had approved a continuation of the work on the environmental assessment (EA) for the airport. At the time, councilmembers had asked if that would be the last time they’d be asked for funding. She did not believe the EA had been completed. She thought the EA would be completed before the council would be asked to consider funding that project. Matt Kulhanek, unit manager for fleet and facilities, told Briere that the EA had been completed and had been submitted to the technical operations group of the Federal Aviation Administration. It has been sitting at the FAA since September, he reported, and the city anticipated there would be a six-month time frame for the FAA to consider it. Two projects related to possible east-west rail service drew scrutiny from councilmembers. Responding to Kunselman’s question was the city’s transportation program manager, Eli Cooper. He explained that the project dates back three or four years when MDOT and SEMCOG (Southeast Michigan Council of Governments) began to announce that commuter rail service would be forthcoming. Those entities weren’t planning on providing parking at the existing station. So the city developed an interim strategy, Cooper said, and included the project in the CIP at that time. Including it was consistent with putting MDOT and SEMCOG on notice that if they were to provide commuter service, they’d need to provide parking out of their budget too, Cooper indicated. The city’s strategy for parking is to use the existing MichCon site, immediately across the tracks from the existing station, Cooper said. The staff estimated there’d be space for a 100-vehicle parking lot, and the amount listed in the CIP was consistent with the estimated expense. The city had not based the estimated expense on conversations with MichCon, Cooper said. The numbers reflect simply a staff estimate of what it would take to establish and operate additional parking on an interim basis for 2-3 years. Mike Anglin (Ward 5) wanted to know what the planning commission’s discussion had been like on the Ann Arbor Station design, when that body had deliberated on the CIP. Sabra Briere (Ward 1), who’s the city council appointee to the planning commission, indicated that the planning commission had not discussed the item. Anglin said he was confused about the direction the city staff thought they had to continue with planning for the station. By way of brief background, the location of a possible new Amtrak station is currently still the subject of a council-approved $2.75 million study, 20% of which the city is funding, with the remaining 80% covered by a federal grant. The council voted at its Oct. 15, 2012 meeting to approve the additional expenditure of $550,000 from the city’s general fund to cover the local portion of the match. Dissenting on that vote were Mike Anglin and Jane Lumm; Stephen Kunselman was absent. At the Feb. 11 session, Cooper responded to Anglin’s question by citing the context of the city’s 2009 transportation plan update, which the city council had adopted. That document was reviewed by the planning commission as well and adopted as part of the city’s master plan. The transportation plan includes 20 years of transportation improvements – roughly $106 million of city-based improvements, and $100 million of state and transit-authority type improvements, Cooper said. With that as the backdrop for his response, Cooper noted that the city has a preliminary grant for the study of the location for a new station, which is anticipated to be completed in roughly the next 18 months. The next logical sequence would be final design project, Cooper said. In that context, it’s the staff’s responsibility to include it in the CIP, he concluded. Anglin sought clarification about a possible decision for the location of the station to be designed: Was it determined to be on Fuller Road? The location is undefined, Cooper said, and that’s why the title of the line item is “Ann Arbor Station,” with no specified location. Cresson Slotten explained that the city is mandated to inspect all its bridges every two years as part of the biennial bridge inspection program. But the city divides the bridges into two categories – those over water and those over land. In one year, the city inspects all the over-water bridges, and the next year the city inspects the remaining bridges. So every year, the city is engaged in the inspection of some bridges. One bridge drew a question from Sabra Briere (Ward 1). Briere noted that this particular bridge – even with a priority of 1 – has been originally included for FY 2017. Now it’s been shifted to 2014. What’s changed? 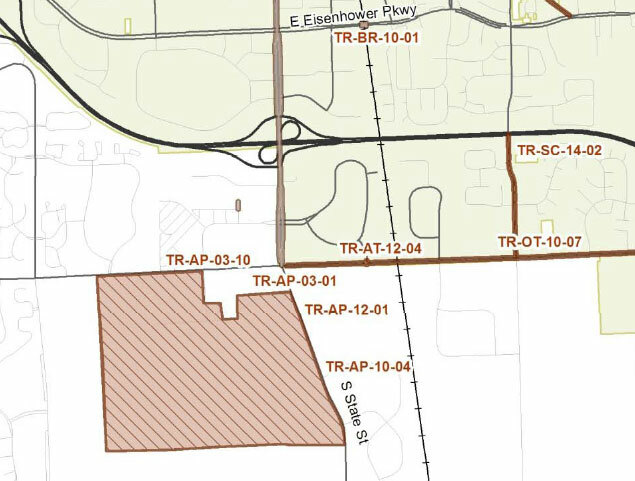 Briere told Hutchinson that she would be really curious to see what the plan is for the Fuller Road/Maiden Lane/East Medical Center Drive intersection. She sees the bridge as a single system, and would like to see the bicycle path put under the bridge – as the bridge was designed to accommodate. Hutchinson told Briere he didn’t have a lot of detail to offer right then, but he knew it’s being studied. Marcia Higgins (Ward 4) suggested that in replacing bridges, the city should try to partner with the University of Michigan, which has engineers working on flexible concrete and sophisticated sensors that allow for monitoring of stress remotely. Those approaches can allow identification of problems before they become visible. Higgins felt that the city should be willing to participate in those university studies. Hutchinson reported that the city had had a meeting with engineering professor Victor Li, but the conversations haven’t gotten very far. Barton Dam is listed in two different items in the CIP. Christopher Taylor (Ward 3) asked for a description of the Barton Dam-related projects. Craig Hupy, public services area administrator, explained that the Barton Dam projects are listed with the water system projects because Barton Pond, which is formed by the dam, is the primary source of the city’s drinking water. Funding for the dam itself is in the general fund. The expectation is that work on the dam is split 50/50 between the general fund (based on the dam’s additional recreational purpose) and the drinking water fund. Responding to a question from Taylor about the anticipated cost of the additional work, Hupy indicated that it would be “six figures.” The city is putting about $400,000 total in various parts of the budget for it. But until the study work is completed later this spring, the amount can’t be more precise, Hupy indicated. Because Barton is a federally controlled dam, whatever the work the city does will be what the regulator demands that the city does or doesn’t do. “Stay tuned,” Hupy told Taylor. Perceived immediate need aside, the runway expansion would provide a very short-lived benefit (if any). Air travel will continue to decline. It’s only a matter of years, not decades before rising fuel prices (after a brief drop) and rapidly decreasing availability—combined with falling discretionary income, business activity, etc.—make air travel unaffordable for most people, businesses included. Not long after that the fuel simply won’t be available. We can’t afford to waste $2.14 million. To point to one related alternative investment, it could go toward improving broadband infrastructure instead. Why is it that every time we’re asked to fund commuter rail, the money goes toward parking and expensive consultants?